Steven Sinofsky has posted on the Building Windows 8 blog, making it clear that this feature is coming to the Windows 8 client as well as to Windows Server 8. 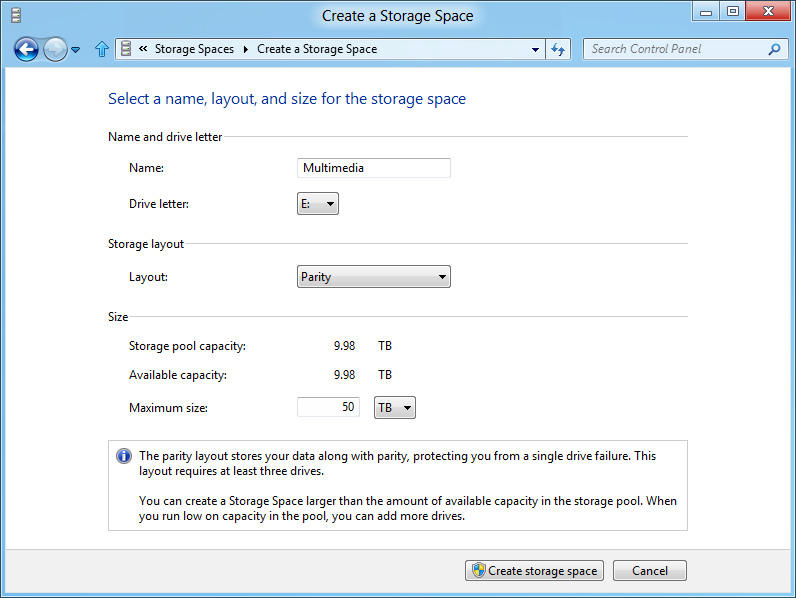 I took a hands-on look at Storage Spaces back in October. The server version includes data deduplication so that similar or identical files occupy less physical space. 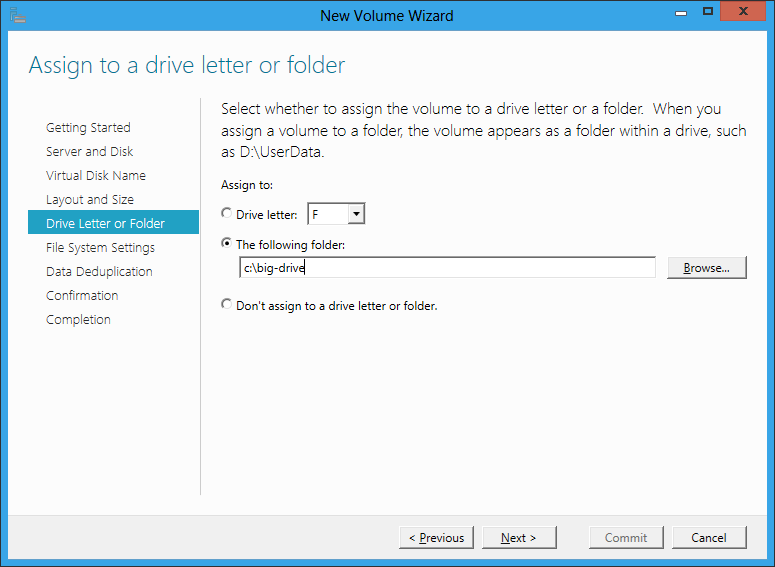 Another feature which is long overdue is the ability to allocate space to a virtual folder rather than to a drive letter. Storage Spaces occupies a kind of middle ground in that enterprises will typically have more grown-up storage systems such as a Fibre Channel or iSCSI SAN (Storage Area Network). 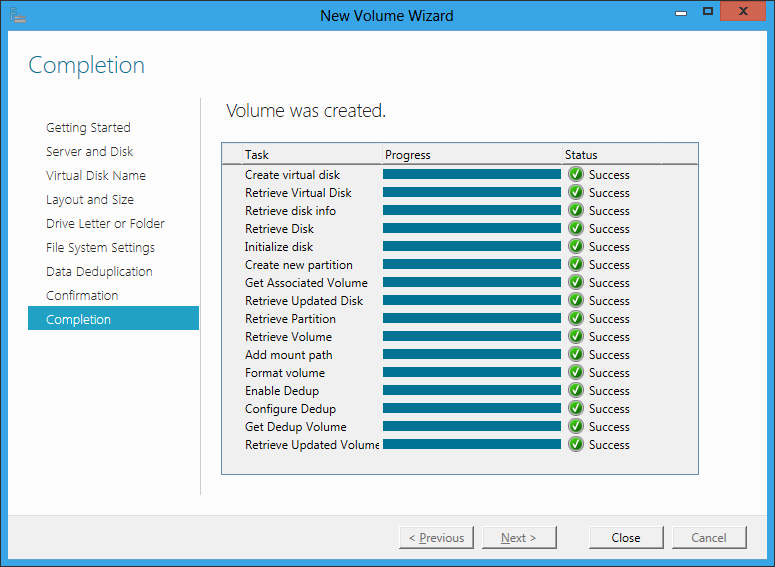 At the other end of the scale, individual business users do not want to bother with multiple drives at all. Nevertheless, for individuals with projects like storing large amounts of video, or small businesses looking for good value but reliable storage based on cheap SATA drives, Storage Spaces look like a great feature. 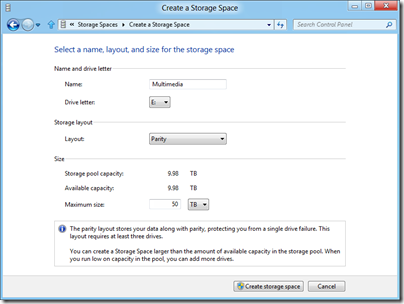 Most computer professionals will recall seeing users struggling with space issues on their laptop, not realising that the vendor (Toshiba was one example) had partitioned the drive and that they had a capacious D drive that was completely empty. It really is time that Microsoft figured out how to make storage management seamless and transparent for the user, and this seems to me a big step in that direction.